Engineering & Design – Flint Hydraulics, Inc.
Flint Hydraulics, Inc. offers complete hydraulic circuit design for virtually any type of heavy mobile or industrial equipment. If you need engineering assistance, machine design assistance or equipment components, we can fill all your needs. Our staff of Certified Fluid Power Specialists has extensive experience in all these industries and has built solid relationships with a vast array of customers. Over the past 30 years we’ve earned a dependable reputation based on excellent customer service and unsurpassed expertise as well as a reliable inventory. From work function and propel designs to fully automated machine control, our staff can help you get the most out of your equipment. 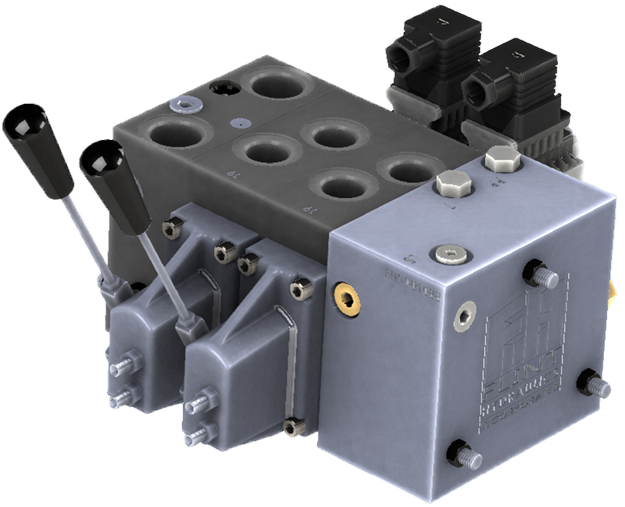 Flint Hydraulics, Inc. has developed a solution that absolutely prevents damage to a PVG valve assembly as a result of the introduction of pump flow to the PVG’s “T” port. you can download and post on bulletin boards or use in safety meetings. Click here for links to these valuable files and first aid information. Flint Hydraulics, Inc. “Joystick Interrupt” controller – for use in conjunction with Danfoss PVG series proportional directional control valves. When grading in automatic mode, it can be necessary to take manual control of the grade cutting blade. The Flint Hydraulics “Joystick Interrupt” controller makes the switch from auto to manual and back again quick, simple and convenient. Just mount the “JI” controller to the machine operator’s preferred hand, connect the two cables, and you’re off and running. Electrical connection is simple. The “auto” cable (not included) that ordinarily would be connected to a Danfoss PVG series proportional valve solenoid, instead is connected to the “JI” box. A separate cable (included) connects the “JI” box to the valve. The automatic grading function works as normal. If the operator needs to take temporary control of the grade cutting blade, he needs only to move the joystick off-center in either direction. While the joystick is off-center, the “auto” signal to the valve will be interrupted, and the joystick will have command of the valve. Releasing the joystick allows it to spring back to center. The “auto” signal to the valve is instantly restored. 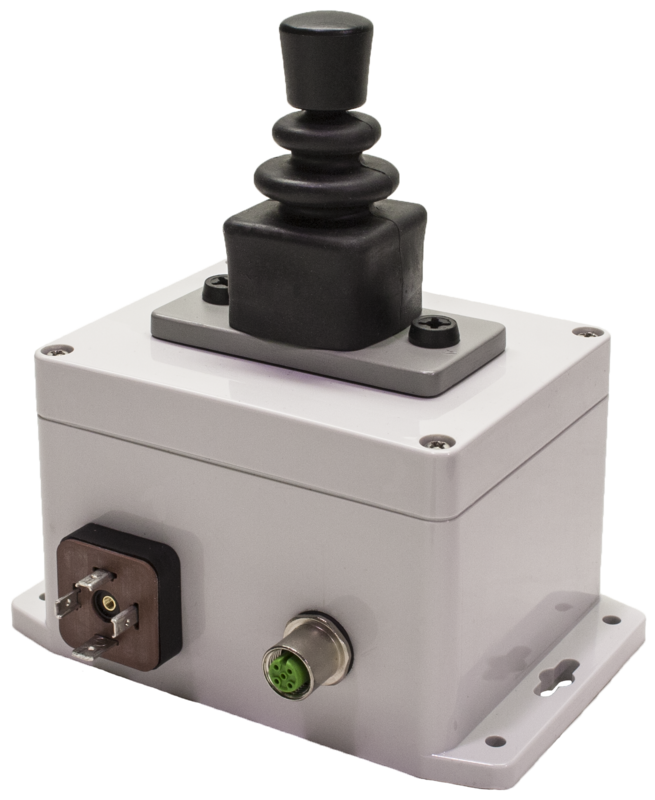 Flint Hydraulics Joystick Interrupt “JI” kits can be configured with four-pin Deutsch connections or with DIN43650 connections, for 12 Vdc or 24 Vdc machines. Please specify which voltage your machine uses. Flint Hydraulics, Inc. represents American Industrial Heat Transfer, a high-quality line of heat exchangers proudly made in the U.S.A.
American Industrial Heat Transfer offers a comprehensive line of air-to-liquid and liquid-to-liquid heat exchangers for industrial and mobile applications. 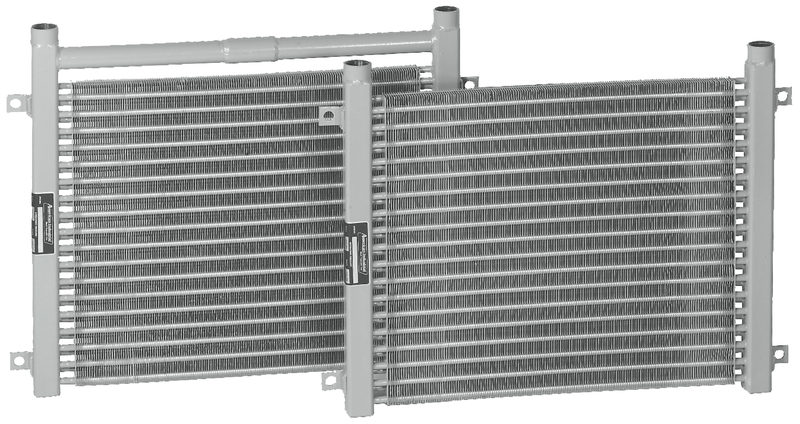 Please let us know about your heat exchanger requirements. Why use a in automatic machine control? The three-way spool – circled in red in the above graphic – powers the cylinder only in the extend direction. Gravity retracts the cylinder rod. Center position of the spool is “B” blocked/”A” open to tank. The spool will prevent the ground from retracting the rod, but if the ground level “falls away,” the rod can “float out” or extend. 1. The blade is already on the ground so raising the wheels farther cannot move the blade down any farther. 2. When a “raise-the-blade” correction is sent from the controller, the wheels start to move down, but it will take some time for them to get to the ground. The cutting blade cannot begin to raise until the wheels touch the ground, so the blade position correction is delayed because the wheels had been raised farther than necessary. What is the significance of a three-way valve in this situation? The valve is used to power the blade up – that is, to power the wheels down, which raises the blade – but gravity is used to push the bucket and cutting edge down. The wheels never leave the ground because they are not powered in the “wheels up” direction. The cylinders in the photographs will be powered in the “extend” direction, but not in the “retract” direction. One valve port – “A” or “B” – is permanently open to tank. When the spool is centered, the cylinder will be held in its loaded direction, but it can “float” in the other direction. Cylinder speed can be proportional in both directions of travel, if a proportional solenoid is used. 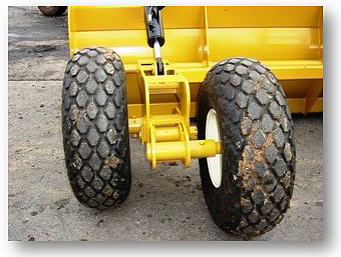 If it is necessary to raise the wheels off the ground – for maintenance, for example – disconnect the scraper’s cylinder from the grade control valve and plug into the QD set on the back of the tractor. The grade control valve is a three-way valve, which means it will power the cylinder hydraulically in only one direction. The tractor’s valve is a four-way valve, meaning it will power the cylinder hydraulically in both directions. Plumb the un-powered port of the cylinder to the un-powered port fo the PVG valve rather than allowing the cylinder to “breathe” atmospheric air. 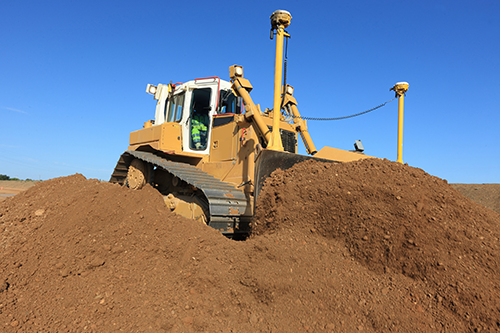 There is too much dust in the air in a dirt-forming application. Even with a filtered air breather in the port, the ingestion of solid contamination will eventually damage the hydraulic system. Plumbing to the un-powered port of the valve allows the un-powered port of the cylinder to “breathe” oil from the tank core of the valve. NEVER plug the un-powered port of the cylinder. The only force available to make the cutting blade descend is the weight of the scraper. 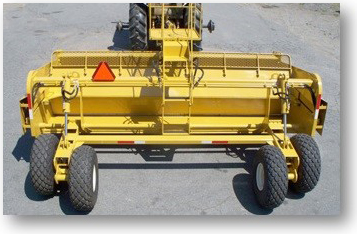 If the scraper is very light weight, it might be necessary to add weight to it in order for it to descend as rapidly as needed – especially when the three-way PVG valve has a proportional solenoid, and when a slight “down” correction is called for by the GPS system. If the outside temperature is cold the descent speed might not be as quick as it was when the weather was hot.